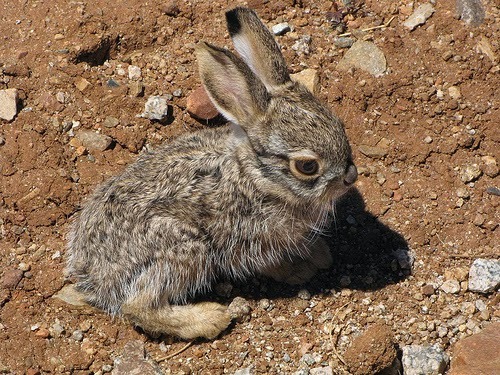 Also called the Black-tailed Jackrabbit, these furry animals are actually not rabbits. They belong under the genus Lepus and species californicus. Jackrabbits are actually hares because they give birth to babies, called leverets, which are born with eyes wide open and are covered with fur. These creatures line in extreme environments, specifically in chaparrals and deserts where temperatures can really rise up during daytime and drop really low at night. Also, these areas don’t really get much rain, so water is hard to come by. 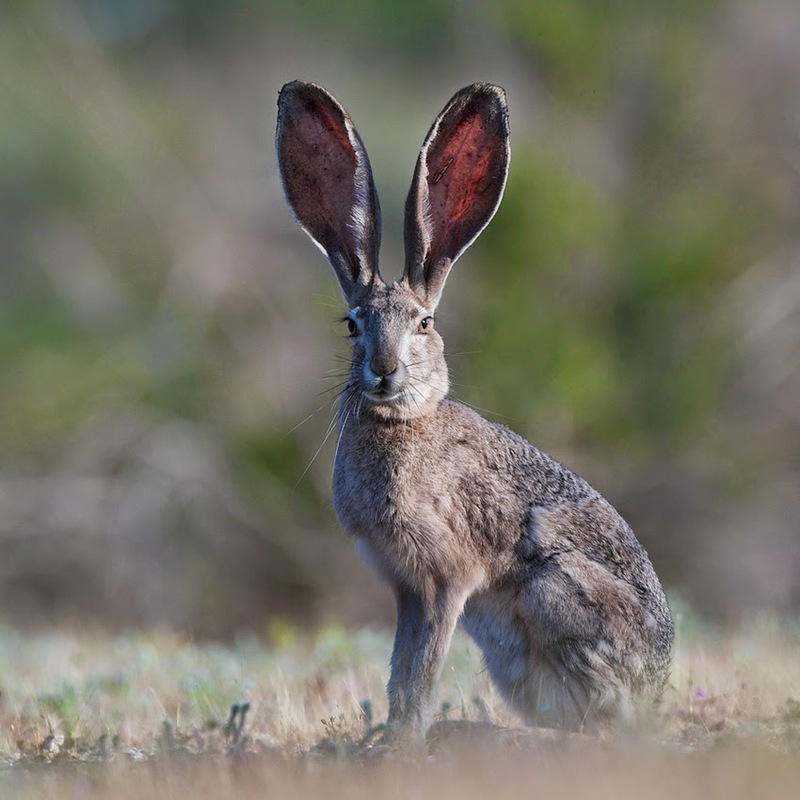 What makes these hares distinct is their large ears that help regulate body heat. This works by decreasing or increasing blood flow through the ears, so even if they live in areas with harsh temperatures, they can still adopt well. They favor living in wide open areas where predators are clearly seen. With their long, powerful legs, they can sprint to about 36 mph, fast enough to get away from predators like hawks or wild dogs. The fur covering their soles help cushion their feet and insulate the desert sand’s heat. Male specimens can weigh at 9 to 11 pounds while females, which are commonly bigger, can reach a good 11 to 13 pounds. They can also grow from 16 to 28 inches and their tails can reach 2-5 inches long. Jackrabbits become sexually mature at a year old and can produce a litter with 1 to 6 leverets in every 3 to 4 months. 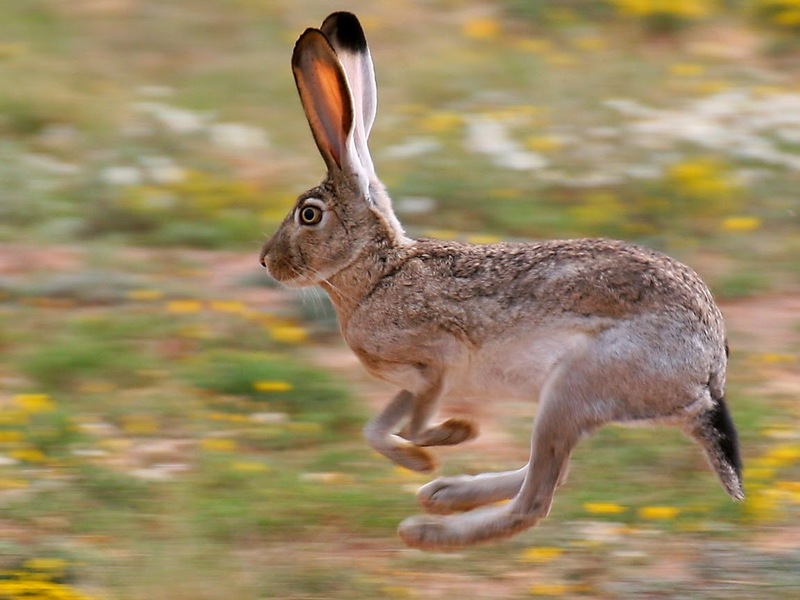 Mother Jackrabbits would usually stay with their leverets for a month, after which will then take care of themselves.